The production of use-values, without regard to the social relations within which that production takes place & the production of value. The capitalist labour process is a combination of the production of use-values and of the production of value and surplus-value. The main point is to show that the source of SV lies in the difference between the value of labour-power and the value created in the course of the working day. It may only take half a day to produce the worker’s means of subsistence, but he can work for a full day. This is the source of SV. Thus the ‘contradiction’ is resolved: SV is created without violating the laws of commodity exchange. The distinction between labour process and valorisation process is a fundamental one. It is the unity of the two that constitutes the capitalist production process: the production of use-values dominated by the production of SV. Thus in a capitalist society it is only insofar as the production process produces SV that it will be undertaken by the capitalist: the production of use-values is conditional on the production of SV. This chapter introduces the important concepts of constant and variable capital. Marx argues that the value of the product is made up of the value added by the worker, on the one hand, and the value transferred from the means of production to the product. This division corresponds to the division between abstract labour (the expenditure of socially necessary labour-time) and concrete labour (the production of a specific product by a specific kind of labour). For Marx capital is not simply the means of production. 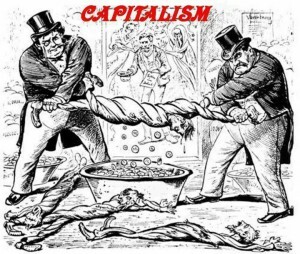 Capital is a sum of money (value) laid out on means of production and labour power. Labour-power has the unique property of creating value anew as it is used up. This chapter introduces the concept of the rate of SV (rate of exploitation). Although the whole capital advanced appears to increase in the valorisation process, it is in fact only the variable part that increases. Thus SV simply represents a portion of the worker’s labour-time. Marx argues that the length of the working day is set within limits of the necessary labour-time (the minimum) and physiological and social maximum that can be sustained. The capitalist class demands as much as possible, the worker demands a shorter working day. Thus between these limits it is a struggle between capital and labour, the capitalist class and the working class, that determines the length of the working day. Marx points to the tendency for capital to lengthen the working day as much as possible, far beyond the limits of endurance of the worker so that the labour force is debilitated. 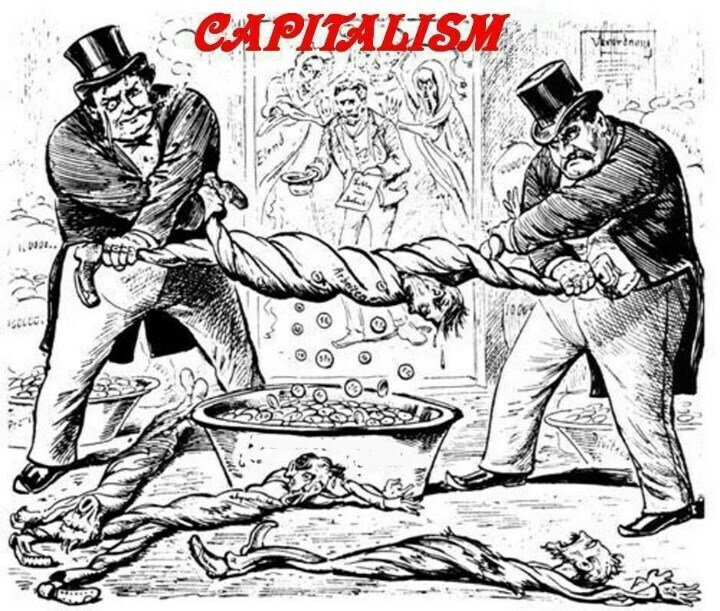 He notes that this happens although it might seem to be in the interests of the capitalist to limit the exploitation of labour so as not to undermine the strength and numbers of the labour force in the future, but in fact capital does nothing because of overpopulation, which constantly provides new workers, and because competition between capitalists imposes such practices on every capitalist if he is to compete. Thus it is the class struggle that determines the length of the working day. “This law clearly contradicts all experience based on immediate appearances” (since in practice capitals receive profit in proportion to the total capital laid out – the rate of profit). Resolving this apparent contradiction Marx postpones to Volume III. As capital takes command of production, the capitalist directs the labour of the worker, and the capital relation becomes a coercive one.